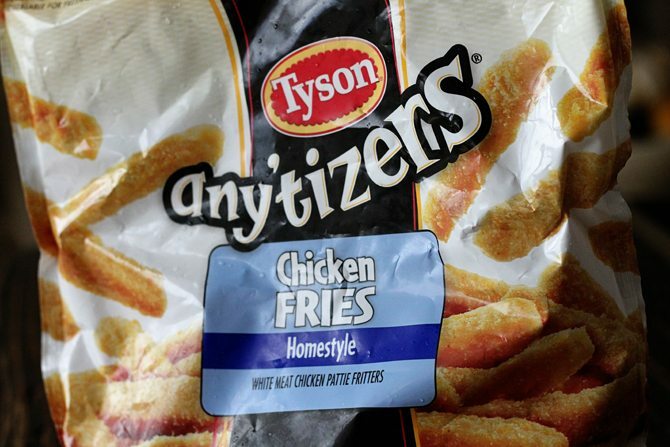 Tyson® Any’tizers® Snacks are the perfect snack hack when it comes to game day – or any day for that matter. 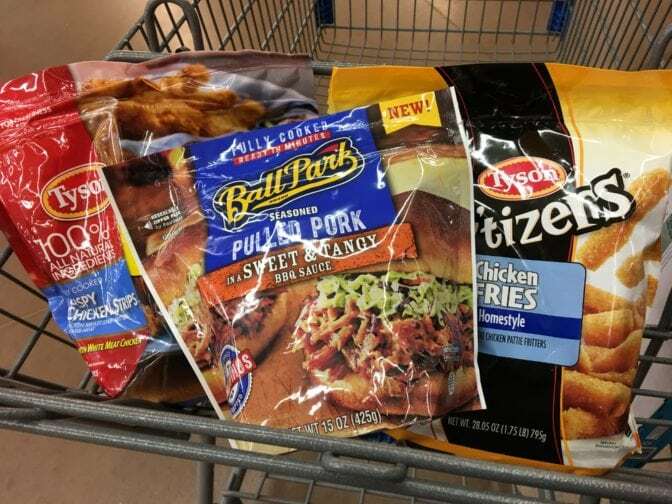 Whether you’re celebrating college football Saturday or Monday Night Football, Tyson makes getting some great food on the table quick and easy. Not only are Tyson Any’tizers convenient but they’re packed with protein. That makes turning your traditional tailgate into a tabletop tailgate that not only feeds your family, but also fills them up super simple! We love that they give us a great option to create easy snacks and meals without having to resort to boring pizza delivery. Out where we live, there aren’t many options for pizza, so we get really tired of the same old thing all the time. So, when we’re in Walmart, we stop by the frozen food aisle and grab a bag of Tyson Any’tizers to keep in the freezer for busy weeknights. With tons of options like a variety of wing flavors, popcorn chicken, chicken chunks, and chicken fires, there’s something for everyone. 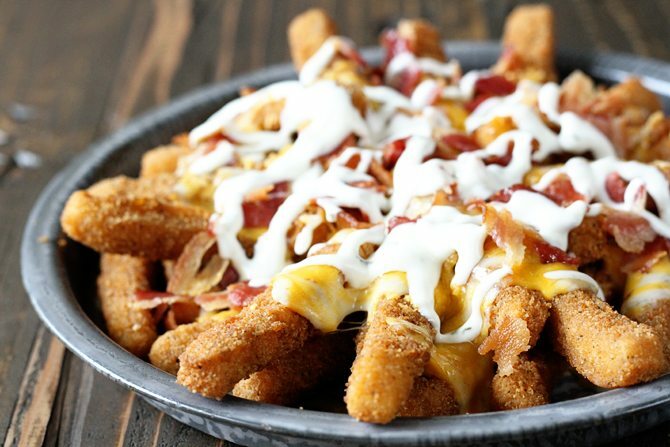 Whether it’s game night or any regular weeknight, one of our favorites is the Chicken Fries. They’re easy to prepare, are super tasty, and are fun to eat with our favorite dipping sauces. They’re also perfect for when we decide to take supper into the living room to be able to catch the game. 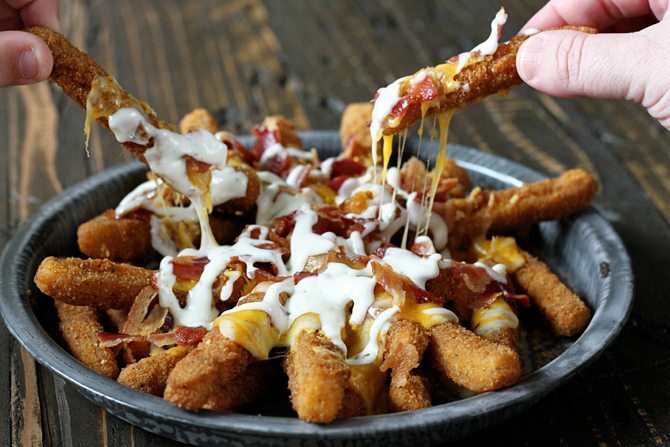 We love to cook them just like the package directions call for you to, then we turn them into Cheddar, Bacon Ranch Chicken Fries by topping them with just that – cheddar, bacon, and a drizzle of ranch dressing. 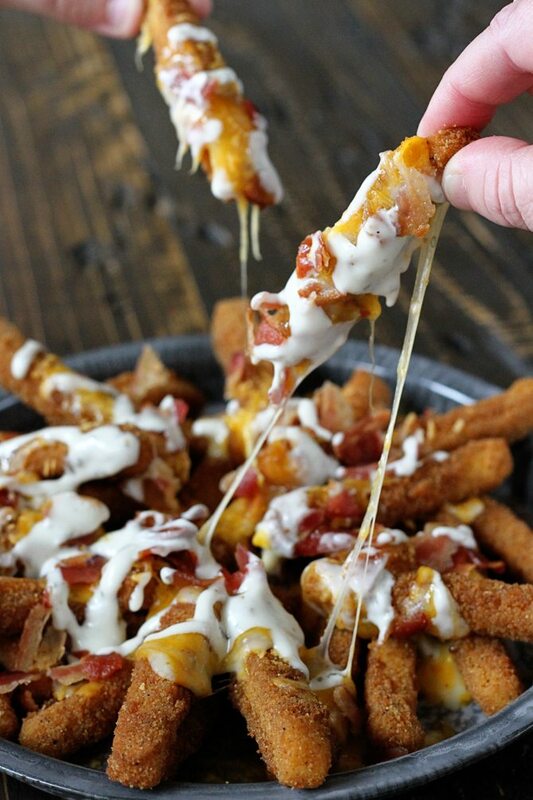 Simply cook the Chicken Fries, then pile them all together and top with 1/2 to 3/4 cup shredded cheddar cheese and 4 to 5 slices of bacon that have been crumbled or coarsely chopped. Return them to the oven for 5 to 8 minutes or until the cheese is melted. After removing from the oven drizzle the fries with a couple tablespoons of ranch dressing or serve the dressing as a dip on the side. This works great with the Popcorn Chicken and Chicken Chunks, too. Sometimes we even go a Mexican route and top them like we would with our favorite nacho toppings – salsa, cheese, sour cream, jalapeños, cilantro… the works! We’ve even added some marinara sauce and melted mozzarella and parmesan cheeses to turn them into Chicken Parm Fries. There are seriously so many ways to turn these protein-packed snacks into something even more delicious.